The project will be conducted in Chad with the M’bororo, specifically a subgroup called ‘Mbimbé Woïla' one of the few pastoralist communities that are fully nomadic. 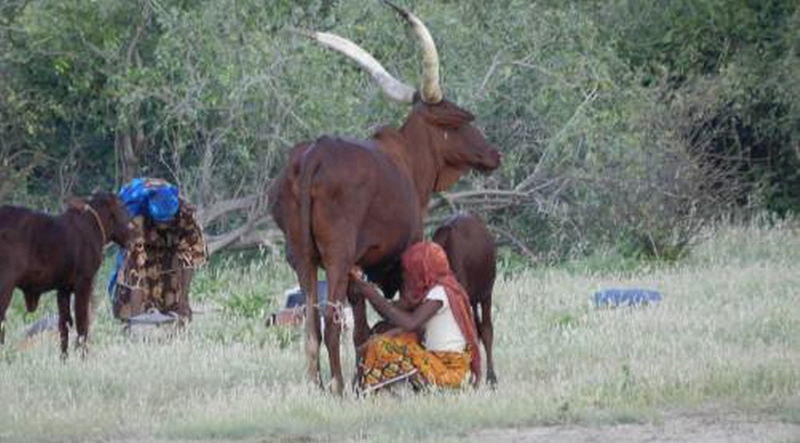 The M’bororo people is famous for herding red longhorn cattle and for their practice seasonal movement of people with their stocks. They developed a large array of traditional practices and weather forecasting based on their interactions in their living environment. During the dry season, the group can be found near Lake Chad and may travel across the borders of Chad-Cameroon-Nigeria if the season is bad. Their movement over large distances provide an opportunity for understanding how their decision-making is influenced by different factors, including availability and quality of pasture. Seasonal calendar and the observation of the stars, for instance, are commonly used to predict rainfall trends and seasonal changes. By bringing this knowledge to the fore, decision-makers and the community can work together to understand how to increase local-level resilience. The project proponents are M’bororo women working with their communities and who have also prior experience working with their national meteorological service and relevant ministries.